What happens if your claims builder is out for six weeks on maternity leave? Do you have a plan in place to keep your cash flow consistent and process charge entry during that time? Solor serves as a safety net for e-MDs® clients in those cases. Solor can come in for as little as two weeks and build claims, process charge captures, or even post payments electronically. Your claims are built and transmitted with no interruption in cash flow. Once your employee returns, your practice returns to business as usual. You need an objective way to hold your billing staff accountable. Sometimes you also need to take a look at providers’ charting to see if they are documenting effectively according to Medicare or Medicaid guidelines. Solor performs basic billing audits for practices that want a quick snapshot of their practice’s billing department. Solor will perform random invoice building and payment process audits, look at your AR, and assess your follow up practices providing a summary of ways for improvement and give you a tangible evaluation for providing pay raises or bonuses for those staffs that are performing well. Is e-MDs® your preferred billing platform? Yes. We specialize by billing solely for e-MDs® practices. Some of our employees have been using the product since 2003. 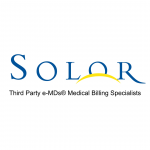 Solor has been helping e-MDs® practices find revenue cycle management solutions since 2006. Do we have to use e-MDs® to use Solor’s billing services? No. The startup costs are slightly higher and it requires a little different procedure but is definitely possible! What specialties do you currently bill for? At the present time Solor provides services for: family medicine, internal medicine, pediatrics, rheumatology, psychology, dermatology, wound care, and hyperbaric medicine. How fast can you get us up and running? Solor can start immediately! From start to finish, the amount of time will vary, depending on the individual circumstances surrounding each client. 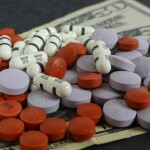 Typically, if you are already on e-MDs®, the turnaround time is around 2-3 business days. We can give you a more specific time period once we have the opportunity to analyze your individual practice. Contact Solor to get an evaluation or quote. e-MDs® is a trademark of e-MDs, Inc. e-MDs Inc. is not affiliated with Solor, Inc., our products, services, or website. Copyright © 2009 - 2016 Solor, Inc., All rights reserved.